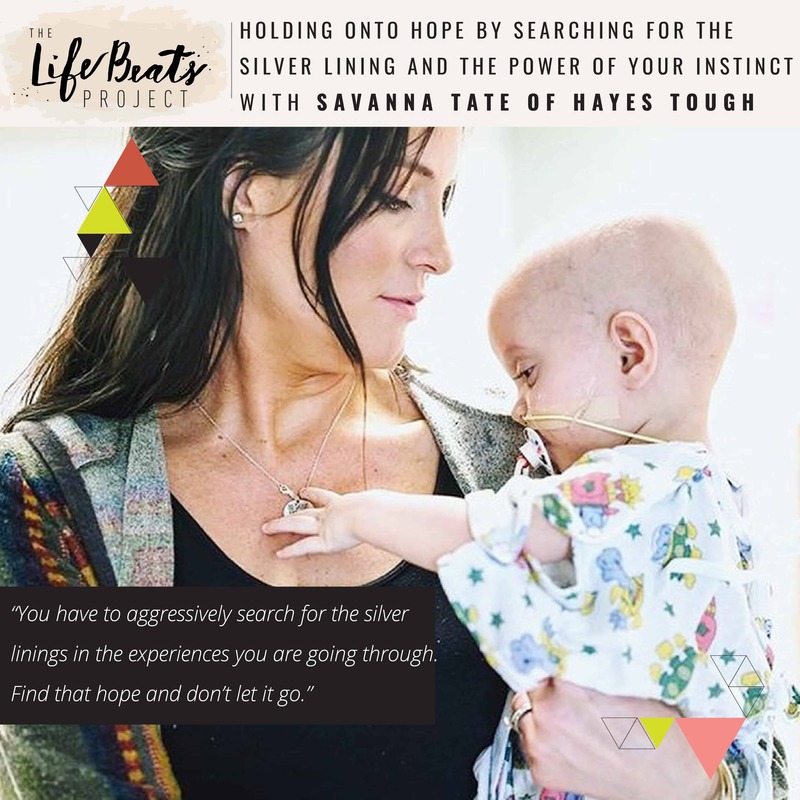 Savanna Tate of the Hayes Tough Foundation gives us a window inside the world of childhood cancer, a world that can be beautiful and hopeful despite the pain and heartache. Savanna shares the 11 month battle of her son Hayes, one of her triplets, with a rare form of brain cancer that began at the age of 10 months, and the role that “mom gut”, hope, faith, gratitude, and fight played in their family’s journey. Savanna tells how after her triplets were born- children 4,5,6- she felt what others had described as “feeling complete”. This is what her life was about, being a mom to these 6 children and being genuinely happy. She tells of the role of what she calls “mom gut” played in diagnosing Hayes and getting him the care he needed. The idea that moms know their children the best and they can tell when something is wrong and if you have to fight to get the care they need from experts. Savanna shares how after she continued to recognize unusual behaviors and lack of behaviors in Hayes how she pressed the doctors until they received an answer, one that was devastating and her initial instinct was to take her baby and run away from, but one she decided she needed to face and fight. Savanna shares of learning to enjoy each moment-even the oatmeal covered eyelids ones, that hope is all she had control over, and that there is always a silverlining to every experience we go through. She also tells of her struggle with faith upon learning that after all of their fight and hope for healing that her baby was dying. She honestly cries out “what’s the point of faith if you can’t control the outcome” and tells of what helped her to switch her mindset from anger to gratitude. Savanna shares why she started the Hayes Tough Foundation and how she is able to be a voice for the thousands of children and parents to bring awareness to childhood cancer. She shares how we can become involved to help give them some joy and provide a silverlining in their life that they otherwise would not have. Listen and be inspired to aggressively seek out the silverlinings in the experiences you are going through, to grab onto hope and not let it go.